Scientists are expecting a spectacular flyby very soon. Two comets are coming incredibly close to Earth this week, but fortunately, they won’t come too close. 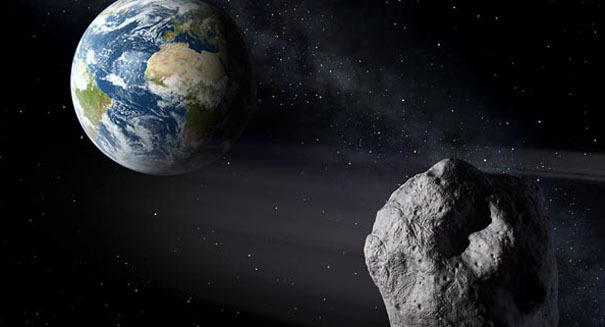 The bigger one, 252P/LINEAR which is 750 feet wide and surrounded by a green cloud of gas, should come within 3.3 million miles of Earth shortly after 8 a.m. EST on Monday, according to a NASA Jet Propulsion Laboratory statement. At around 4:30 a.m. EST the next day, you can expect the smaller comet — P/2016 BA14 — to get even closer, flying at 2.2 million miles from the planet, the closest comet to fly past Earth since 1770. It will be the second closest comet in recorded history. Scientists are excited for the rare and historic flyby. They will be taking the opportunity to learn what they can with the close observation opportunity. The bigger comet might even be visible to the naked eye at some point as the sun heats it up to produce a bright tail. P/2016 BA14 will probably be too small for you to spot it without a telescope. We’ve known about 252P/LINEAR since April 2000, but the smaller comet was only spotted two months ago via a telescope in Hawaii.